Farming Location: The whole country. 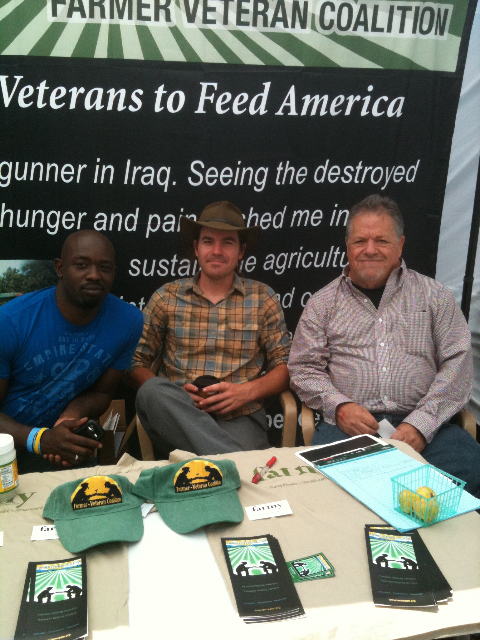 As I was perusing the booths at the Good Foods Festival in Santa Monica back in September, I came across the sign, Farmer-Veteran Coalition. Hmmmm, veterans and farmers, sounds like a great idea to me. Working with the earth sounded like a very healing proposition for a brave soldier finished with his active-duty. My interest was peaked. There I met Michael O’Gorman, the founder of the coalition. Michael has grown more organic food than you or I could ever dream of! He’s been farming for the last forty-one years. Born in Eureka, CA to a family of farmers, agriculture is in his blood. In his early 20’s during the tumultuous politics of the 60s, he studied organic farming with one of its pioneers, Dr. Bargyla Rateaver at UC Berkeley. From there, his career as an organic farmer exploded. He has managed small farms and 25 million dollar large organic farms. Michael understands how to make an organic farm work. After 30 years of farming in California, he went down to Baja, Mexico to work for Del Cabo, where he started a co-op for small growers. They taught the locals the skills to farm organically as well as how to make their farms financially viable. The 150 family co-op is still a successful company today. More than anything, Michael wanted to teach new people how to farm. I was surprised to find out that the number of farmers has been shrinking for the past 40 years while our population is exploding. That sounds like a problem me. Currently, the average farmer is 57 years old and for every one farmer entering the industry, two are retiring. When Michael began farming, there were 2 million farmers for a population of 200 million. Now there are 960,000 farmers for a population of 310 million people. That is over a 50 % drop in the number of farmers we have in the United States! Simply said, we need more farmers. His goal? To find farmers that will stay farming. As people start eating more vegetables (as they should), we’re going to need more farms. In 2009, he created the Farmer-Veteran Coalition, designed to train U.S. veterans how to farm. He said the working with the veterans is absolutely transformative. The Farmer-Veteran Coalition’s mission is to help create smaller, commercially viable farms. As Michael explained, “It’s better for the economy and the ecology,” smaller farms produce jobs and ecologically they create biodiversity and have more crop rotation. The coalition mentors, partially funds and teaches veterans the skills to become commercial farmers. Of course, my first instinct was wow, how healing this must be, but I didn’t think about the challenge. “Farming many acres of land is not for the faint of heart and it lends itself to those coming out of the military,” he said. “Farming gives veterans a new mission and it is a service to our country. It creates jobs and supports the rural areas, especially in this economy.” Michael also sees farming as a security issue. A country that can feed itself creates a secure nation. I asked Michael if backyard farming could contribute to theses challenges. His answer? A resounding yes. “The more people are connected to their food, the better we are as a society,” he said. As a matter of fact, the Veteran Farm Coalition encourages veterans to grow food for themselves in their backyards for their families and their neighborhoods to create local produce. 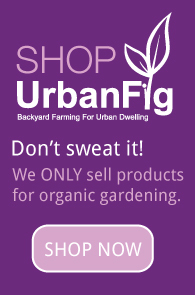 Backyard farming is not only a contribution to ourselves, but to our country. Now, go grow some food. Next post: Leaf Minors – What’s Leaving Those Weird Veins on my Leaves?